Secure Socket Layer (SSL) is a protocol that provides security for communications between client and server by implementing encrypted data and certificate-based authentication. Technically, the term "SSL" now refers to the Transport Layer ouSecurity (TLS) protocol, which is based on the original SSL specification. 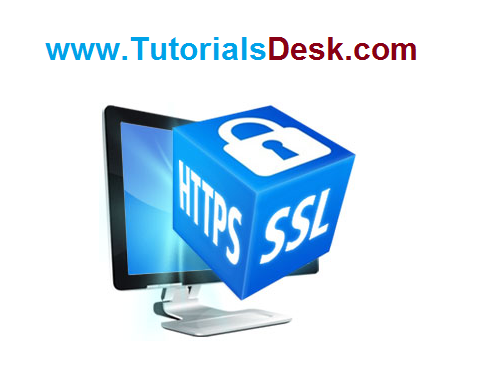 SSL, or Secure Socket Layer, is a technology which allows web browsers and web servers to communicate over a secured connection. This means that the data being sent is encrypted by one side, transmitted, then decrypted by the other side before processing. This is a two-way process, meaning that both the server AND the browser encrypt all traffic before sending out data. SSL is one of the most common ways of integrating secure communication on the internet, as it is a mature protocol that is well-supported by every major browser and a number of well-respected organizations provide third party SSL authentication services. The most common way that SSL is integrated into Internet communications is through the HTTPS protocol. Calling HTTPS a "protocol" is not entirely accurate, as it is simply a combination of the HTTP and SSL protocols. When we say a message was sent using HTTPS, what we are actually saying is that the message was first encrypted using SSL, transmitted and received using normal HTTP protocol, and then decrypted by the receiver, also with SSL. the most common implementation of this process is the HTTPS combination protocol. The encryption using a private key/public key pair ensures that the data can be encrypted by one key but can only be decrypted by the other key pair. This is sometime hard to understand, but believe me it works. The keys are similar in nature and can be used alternatively: what one key encrypts, the other key pair can decrypt. The key pair is based on prime numbers and their length in terms of bits ensures the difficulty of being able to decrypt the message without the key pairs. The trick in a key pair is to keep one key secret (the private key) and to distribute the other key (the public key) to everybody. Anybody can send you an encrypted message, that only you will be able to decrypt. You are the only one to have the other key pair, right? In the opposite , you can certify that a message is only coming from you, because you have encrypted it with you private key, and only the associated public key will decrypt it correctly. Beware, in this case the message is not secured you have only signed it. Everybody has the public key, remember! Well, Private Key/Public Key encryption algorithms are great, but they are not usually practical. It is asymmetric because you need the other key pair to decrypt. You can't use the same key to encrypt and decrypt. An algorithm using the same key to decrypt and encrypt is deemed to have a symmetric key. A symmetric algorithm is much faster in doing its job than an asymmetric algorithm. But a symmetric key is potentially highly insecure. If the enemy gets hold of the key then you have no more secret information. You must therefore transmit the key to the other party without the enemy getting its hands on it. As you know, nothing is secure on the Internet. The solution is to encapsulate the symmetric key inside a message encrypted with an asymmetric algorithm. You have never transmitted your private key to anybody, then the message encrypted with the public key is secure (relatively secure, nothing is certain except death and taxes). The symmetric key is also chosen randomly, so that if the symmetric secret key is discovered then the next transaction will be totally different. There are several encryption algorithms available, using symmetric or asymmetric methods, with keys of various lengths. Usually, algorithms cannot be patented, if Henri Poincare had patented his algorithms, then he would have been able to sue Albert Einstein... So algorithms cannot be patented except mainly in USA. OpenSSL is developed in a country where algorithms cannot be patented and where encryption technology is not reserved to state agencies like military and secret services. During the negotiation between browser and web server, the applications will indicate to each other a list of algorithms that can be understood ranked by order of preference. The common preferred algorithm is then chosen. OpenSSL can be compiled with or without certain algorithms, so that it can be used in many countries where restrictions apply. A hash is a number given by a hash function from a message. This is a one way function, it means that it is impossible to get the original message knowing the hash. However the hash will drastically change even for the slightest modification in the message. It is therefore extremely difficult to modify a message while keeping its original hash. It is also called a message digest. Hash functions are used in password mechanisms, in certifying that applications are original (MD5 sum), and in general in ensuring that any message has not been tampered with. It seems that the Internet Enginering Task Force (IETF) prefers SHA1 over MD5 for a number of technical reasons (Cf RFC2459 7.1.2 and 7.1.3). The other advantage of signing your messages is that you transmit your public key and certificate automatically to all your recipients. while the second form does not even allow to read part of the message if it has been tampered with. In The next posts we will expalin How to import third party certificate in local keystore. Hope we are able to explain you What is SSL? SSL Certificate Basics , if you have any questions or suggestions please write to us using contact us form. (Second Menu from top left).